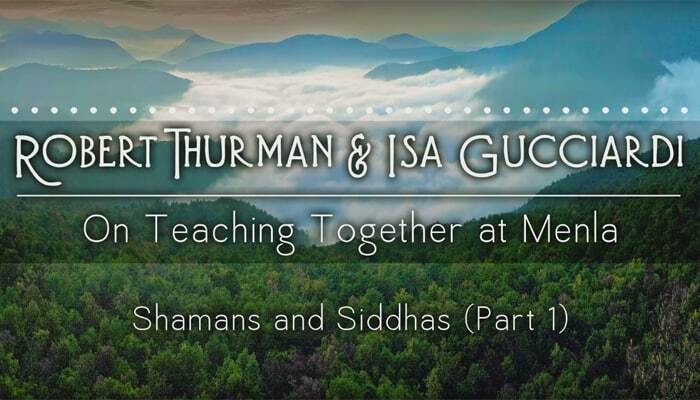 Robert Thurman and Isa Gucciardi come together at the Sacred Stream Center in Berkeley, CA, to discuss their workshop, Shamans and Siddhas: Meeting at the Crossroads of Shamanism and Tantrism. In this segment, Bob and Isa explore the role of the shaman and the role of the Siddha in ancient culture and examine the disconnect with nature that has occurred in modern society. This workshop regularly takes place at Menla Mountain Retreat Center in Phoenicia, NY. For more information on Shamans and Siddhas, visit sacredstream.org or menla.us.